Calling all poets in or near Ludlow‬! 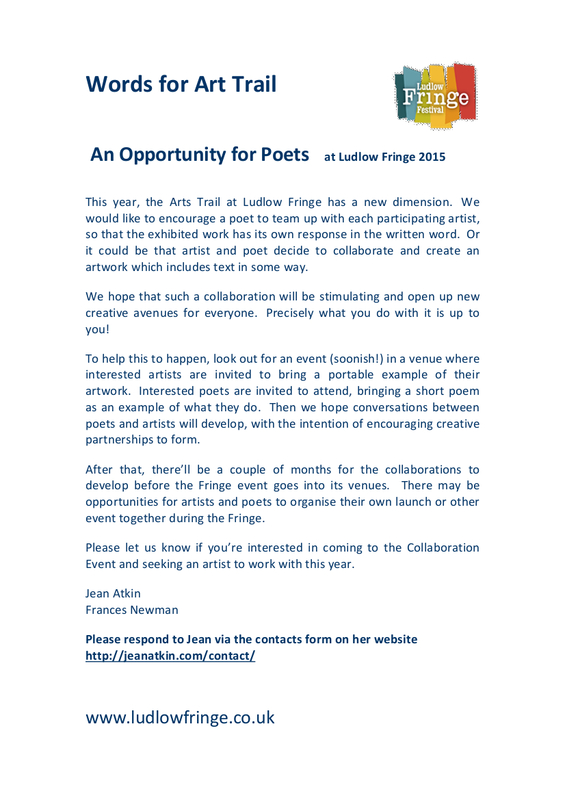 This is the Words For Art Trail – a really interesting collaborative opportunity to work with artists involved in Ludlow Fringe Art Trail round the town – read on… contact me through the Contacts page on this website if you’d like to know more. Next Next post: Read in front of the fire,/ read out in the shed./ Read in bed.